Brilliant limited edition trading cards on a topic and cast of characters who have long been under the radar in popular culture, female spies! Filled with accomplishments and maturity. I'm excited to see where this new found embrace of everything in my life will take me! Many quilters have a love for precision piecing and improv patchwork, and are able to move between working with rulers or going ruler-free. Sujata Shah gently opens up an exciting path for first-time and beginning level improvisors to explore the expressive qualities of the freely cut line. Alien She at YBCA and Ladies Sasquatch by Allyson Mitchell rocked. YES! I am WOMAN! I am BEAST! 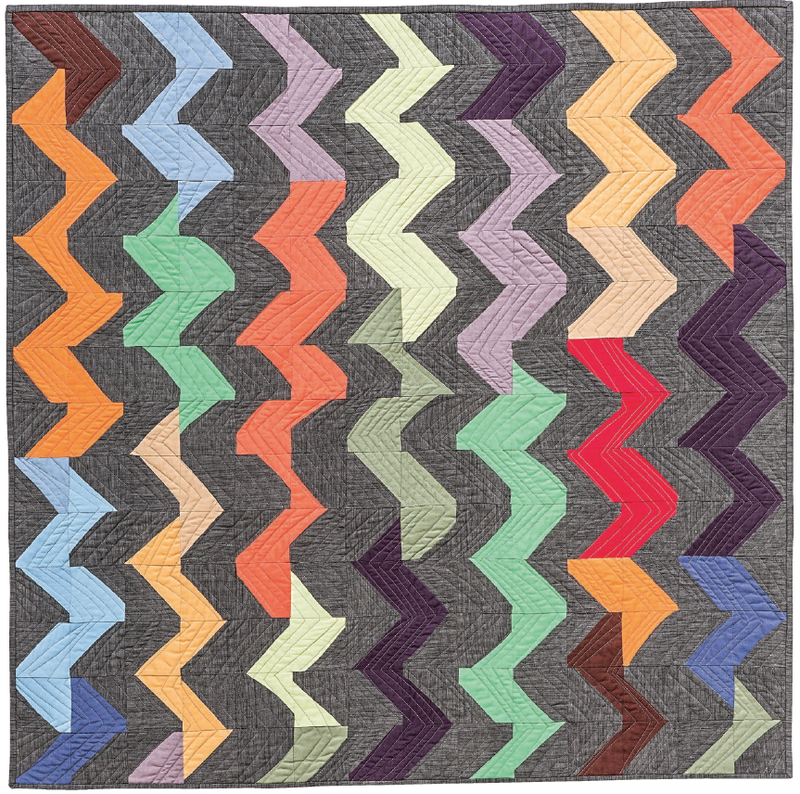 There is so much motion in this African-American improv quilt by Sarah Turnage that it borders on optical illusion! Eli considers this amazing quilt by Rosie Lee Tomkins as one of her best ten AND it has never been published! Don't miss this exclusive! With its visual field of deep black velvet and twinkling white stitches this African-American signature quilt is as powerful and mysterious as the universe. Announcing a fabulous, EXCLUSIVE blog series - Eli and I discuss a different quilt from his African-American patchwork collection each week. Eli Leon has over 1000 African-American quilts in the improvisational style and he invited me to his home to see his collection! I don't know how bloggers post when they are on vacation. I'm home now and here is a rundown of my Portland adventure. 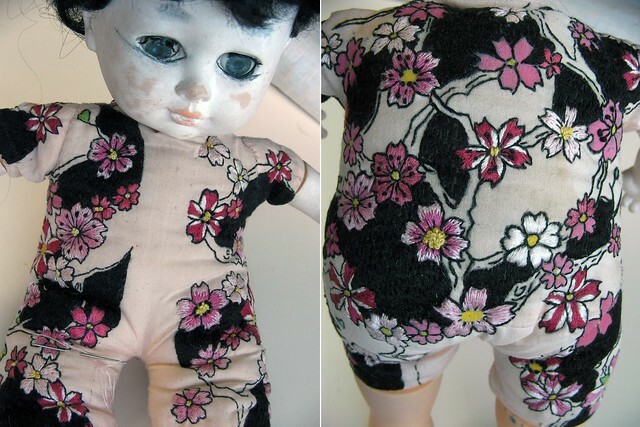 Picking up yet another group of loose threads this week by finally visiting some of my favorite blogs. Mend It Better is a very approachable and a comprehensive reference for taking care of your clothes. It is a book about love and empowerment. I knit these cuties! And yes perhaps I'm a teeny-tiny bit embarrassed to admit that I have indeed caught the teeny-tiny cute bug - but come on look how cute they are! I recently bought Teeny-Tiny Mochimochi: More Than 40 Itty-Bitty Minis to Knit, Wear, and Give while visiting my sister in South Carolina. The super cute tiny things in this book are knit with leftover sock yarn. So of course this teeny-tiny blue monkey and his pal teeny-tiny brown chicken will be perfect runner up gifts for the YOSS giveaway. These teeny-tiny creatures are hard to resist and the the book is filled with them. Most are no bigger than an inch and take an hour to knit. 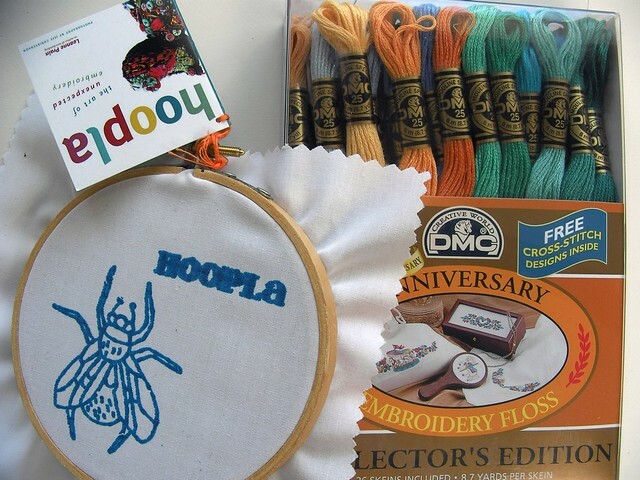 The patterns are simple and shouldn't be difficult for an experienced beginner if you have experience with double pointed needles. If the small size is a stumbling block for less experienced knitters, it's simple to knit larger toys by using larger needles with thicker yarn. I've already been knitting them for friends & family. They are so much fun to give. 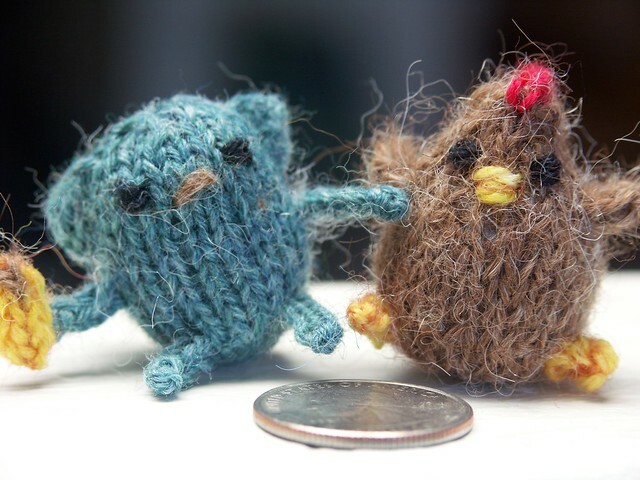 Check out the author's Anna Hrachovec's flicker set of Tiny Things or her blog Mochimochi Land. 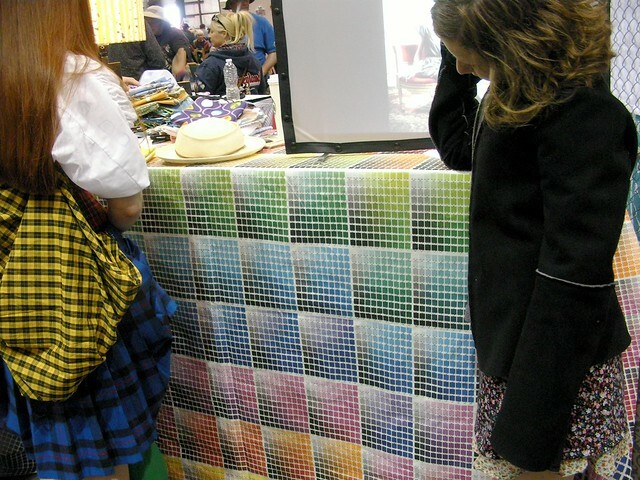 Last Saturday I attended the Bay Area Maker Faire in San Mateo with my friend Tam and her daughter Sonia, above right - checking out the cool Pantone patterned fabric at the Spoonflower booth. It was a beautiful day for the event, and the crowd was HUGE. Lots and lots of kids, and people of all ages. I liked seeing parents peddling to run the human-powered arcade rides, so that their kids could enjoy the thrill of swinging through the air. I liked the giant funky, hand tooled bikes, and the electric-powered easy chairs and cupcake cars swirling through the crowd. There were lots of interesting things to see, but the craft section of the Maker Faire was a disappointment. The section allotted to hand and needle crafts was small and very crowded. There was a place where people could sit and learn to knit, crochet, needlepoint, and spin. I tried my hand at spinning, but there were only a few small booths on felting, quilting, and sewing. I could hardly move through the isles between them. The Swap-a-rama, on the other end of the fair ground, was depressingly empty of people. Mostly the Maker Faire was about DIY tech, low tech and high tech, and more tech. Ah the way the world goes... While standing in the overcrowded puny crafts section I overheard a college aged guy pejoratively comment to his friends, "I feel like I'm in the land of homemade Christmas presents."